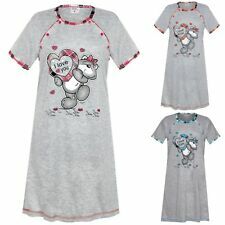 Blooming Marvellous Nightdress Maternity Nursing Nighty M heart Print mothercare. Condition is Used. Dispatched with Royal Mail 2nd Class. Lovely nighty, press studs all the way down. Suitable for nursing. Breastfeeding. Most of my maternity items have served me through two pregnancies but are still in good wearable condition. There may be light bobbling or other signs of wear. Please look at my other items. I am happy to combine postage. Any questions please ask. Thanks! Topshop Maternity Pajamas - Size Large. Condition is Used. Dispatched with Royal Mail 1st Class. Gorgeous 2 piece Pajamas set So comfy when pregnant! Used but still in good condition! Any questions please feel free to contact me No returns Happy bidding! Maternity Pyjamas Bottoms Size 14 from M&S Navy Floral Loose fitting really Comfortable Slouch. 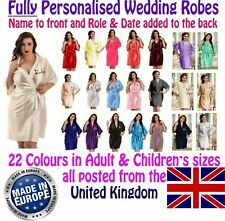 Thanks for looking and please take a look at my other items as I’ll be adding loads more maternity clothes and happy to combine postage. Smoke free house Condition is Used. Dispatched with Royal Mail 2nd Class. Asos Sample Maternity Loungewear/Pyjama Set size 10. Grey soft touch stretch jersey. Sample label attached. Approx length 27". Matching under bump short bottoms. Asos Maternity Legging Style Pyjama Bottoms Size 10 New. Cotton blend jersey. Approx inside leg 28". Asos Maternity Pyjama Bottoms Size 10 New. Grey marl cotton blend jersey. Approx inside leg 28". Approx bust 23". Approx length 33". Asos Sample Maternity Grey Marl Cotton Blend Pyjama Bottoms Size 10. Sample label attached. Approx inside leg 28". Sample label attached. Cotton blend jersey. Approx inside leg 28". Cotton jersey. Approx length 26". Approx bust 22". 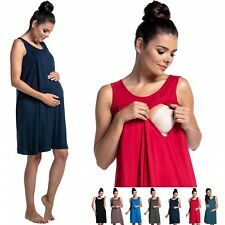 Asos Maternity Pyjama Vest Top Size 10 New. Grey marl cotton jersey. Mix & match bottoms available. Approx length 27". Approx bust 19". Sample label attached. Approx bust 23". Approx length 33". Asos Maternity Legging Style Pyjama Bottoms Size 10 New. Cotton blend jersey. Approx inside leg 29". Maternity and Nursing Pyjamas - LA REDOUTE MATERNITY. Maternity and nursing pyjamas. Long-sleeved T-shirt. Round neckline with buttoned tab for easy nursing. Fitted trousers with elasticated waist, drawstring tie, support band plus 2 pockets. Asos Maternity Pyjama Top Size 10 New. Grey marl cotton jersey. Mix & match bottoms available. Approx length 27". Approx bust 22".